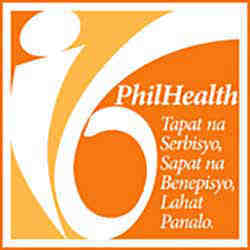 QUEZON CITY, 6 May — PhilHealth warns it will run after employers not following the National Health Insurance law. It is no secret that there are erring employers who have done or are doing one, a combination of, or all of these: Either do not remit PhilHealth premium contributions deducted from a member’s monthly salary, do not remit the correct amount promptly, or do not submit the required remittance reports on schedule. And yet, it is only now even if it has knowledge of the situation, that the Philippine Health Insurance Corporation (PhilHealth) announced it will run after employers who have failed to fulfill their obligations. PhilHealth President and CEO Alexander A. Padilla said failure of employers to remit the required contributions and submit remittance reports shall make them liable for reimbursement of payment of a properly filed claim of their employees. Erring employers will also be penalized with a fine of not less than P5,000 multiplied by the total number of employees for failure or refusal to register or deduct PhilHealth premium contributions. A fine of not less than P5,000 but not more than P10,000 multiplied by the total number of employees will be applied for employers who refused or failed to remit and report contributions. Delinquent employers are those who have missed monthly premium contributions in behalf of its employees for at least one month within a six-month period. Under-remitting employers, on the other hand, are those who remitted and reported contributions that are less than the prescribed amount or those who remitted accurate contributions but did not include all its employees. This entry was posted in MANILA, NATION, NEWS and tagged Health Insurance Corporation, National Health Insurance Law, PhilHealth. Bookmark the permalink. ← More PH women prefer to work locally, but why the rush for OFW placement?